Our God is RISEN!!! 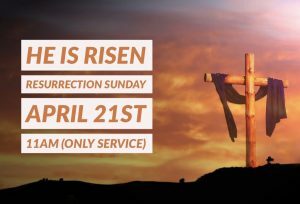 We would love if you and the entire family would be our guest at our Resurrection Sunday service. We are in great anticipation of what God will do on that day! We will only have one service 11am. So plan to join us April 21st!